I’ve been using my old Samsung Galaxy S7 Edge for about two years now (I got it November 2016) and it has served me quite well during most of that time. It still performs well to this day, takes great photos, and can handle all the apps I need either for work or personal use, but it’s one weakness – its smaller battery – has become more apparent and troublesome, two years down the road. Bringing at least one power bank has become a requirement if I plan or need to use my S7 heavily for an entire day, especially for times I need to do event coverage work. This makes using it either unwieldy, when I try to hold it with a power bank attached, or inconsistent, when I decide to set it aside to allow it to charge. So when I got the chance to try out the new Zenfone Max Pro M1 from ASUS a few months ago, it gave me the opportunity to test out a smartphone whose battery life is one of its main selling points and is exactly what I was missing with my old S7. To be specific, I’ve been using the 3GB/32GB variant of the Max Pro M1. Expectedly, the Max Pro M1 had a much longer battery life than my two-year-old S7, thanks to its larger 5000mAh battery coupled with its newer Snapdragon 636 processor. While I was only getting about half a day’s worth of battery life from my S7 with heavy usage, I was getting at least a whole day with the Max Pro M1 with roughly the same amount of usage. At one point, when I was on a trip in China, I had packed the fully-charged Max Pro M1 in my bag and left it there for the entire three-day trip. By the time I got back home, it still had a lot of charge left in it. That instance, along with a few others, prompted me to transfer my SIM card to the Max Pro M1 and start using it as my daily driver. Today, the Max Pro M1 lasts me about a day and a half of heavy usage. That includes writing notes and articles, answering and sending emails, responding to messages, going through and posting on social media, watching videos on YouTube, and listening to music on Spotify. Most of which require having my data connection on all the time. I still bring my S7 with me for times that I need to take high-quality photos for work but since my SIM card, and consequently my always-on data connection, is now in my Max Pro M1, the S7 lasts longer than it did before I made the switch to the Max Pro M1. As it currently stands, my Max Pro M1 and my S7 now have about the same battery life, with the former pulling ahead slightly by a few hours. And that’s with heavy usage on the Max Pro M1 and light usage on the S7. It’s made monitoring the battery life and charging of both convenient. While the S7 does run faster than the Max Pro M1, the latter is still easily able to run all the apps I use on a daily basis while also answering my need for a device with a longer and more reliable battery life. I even play games on the Max Pro M1 on occasion as I won’t have to worry about the battery suddenly running out if I do. The ASUS Max Pro M1 will probably stay as my daily driver for awhile as it allows me to work and stay connected anytime and anywhere without having to worry about its battery. Currently, the 3GB/32GB variant of the Max Pro M1 I’m using is priced at PHP 8,995 but there’s also a 4GB/64GB priced at PHP 10,995 that also comes with a better rear camera. 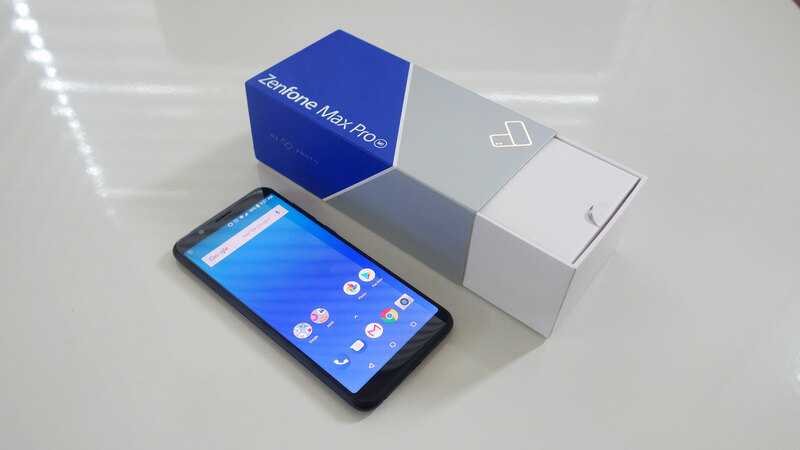 You can check out my full review if the ASUS Zenfone Max Pro M1 here.